GNHiAP governance is based on a multi-stakeholder engagement with the aim of ensuring effective coordination and tangible outputs. GNHiAP is managed by the Executive Committee with supervision of the Steering Committee. All committee members work pro bono. The composition of the GNHiAP Steering Committee should not exceed 14 – 18 persons, representing all different institutional entities of the network. The Steering Committee members serve the term of three years (the current term is from 2018 – 2020). Meet on a regular basis at least twice a year via teleconference meeting. GNHiAP Ex Com provides leadership and performs a secretariat function under the supervision of Steering Committee. 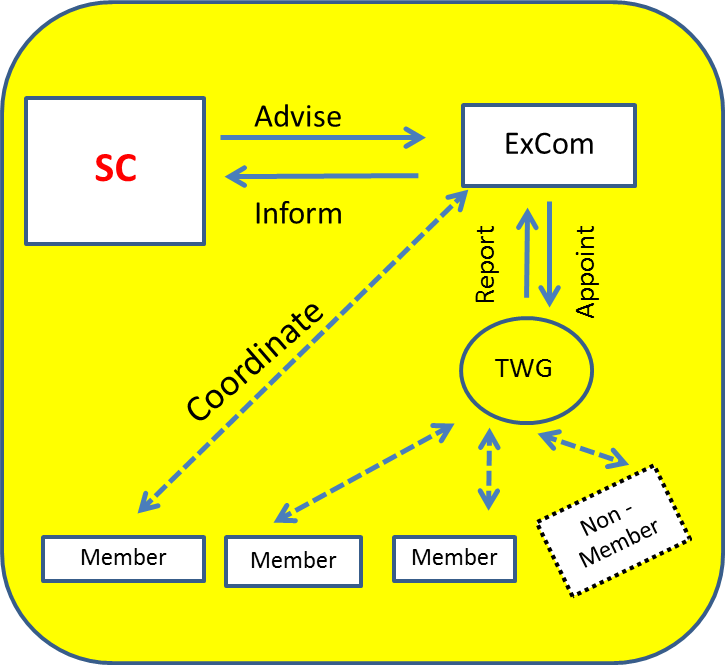 The composition of ExCom members is not more than six, covering different instituional entities. One of the members is the Chair of the Steering Committee. The ExCom members are elected from the Steering Committee members to serve the term of three years (the current term is from 2018 – 2020). Each member commits to three years term. Membership is automatically renewed at the end of the term.